DerRics Workshops are always done with a sense of humor, and are fun for the Workshop Participants. 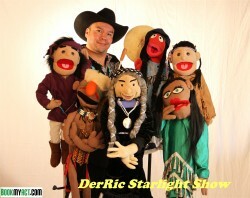 DerRic uses Comedy to get across his message on Bullying and Speaks from his own experience in youth. DerRic tells his story and how he was a victim in his youth.